Picture this, you’ve been renovating your dream oceanfront house, you arrive there one day, and the house is teetering on the edge of falling off the cliff. That’s largely an analogy for a lot of the work we get called in to do, and our expertise is based on over two decades of bringing large scale transformations under control. When we go into a situation to conduct the initial discovery and assessment phase, the indicators of what’s wrong are usually predictable in their similarity. We’ve developed a rigorous methodology via a set of measurements, checks and balances to diagnose what needs to be done, how and when, but by and large we already know the foundations of the transformation are off track and probably have been from the beginning. All too often the business unit manager or subject matter expert, with great competence in their field, is assigned the Project Manager role – with little or no capability or experience of running projects or programmes. Even worse, they’re expected to do their day job simultaneously. Choose the person with demonstrable experience in Project Management, ensure they are clear in what you’re asking them to do, and let them do that with focus. The programme is off track financially because there wasn’t enough detail in the Business Case to deliver the planned outcomes. Often, those outcomes may be unspecific or without measurement, and it’s unclear what has been spent and what has been gained. The burn-rate is progressing at a fast pace. It’s crunch time and the contract is being revisited, at this point it’s evident the contracts and SLAs were completed by an individual, rather than a group of subject matter experts, who collectively will understand the business needs and demands. You should involve IT, Legal, Finance, Procurement, Business Owners and the C-Suite sponsor, to assess the impact collaboratively and ensure the contract and SLA will provide the necessary support to meet the daily operations and management of the business. Too little too late – people think that communication needs to take place towards the completion of change because the tangible manifestation of the programme is ready to be unveiled. That’s already an alarm bell to the programme being off track. Change happens from the start, and it has to be communicated to everyone. Take time to consider the end-user and think about ‘WIIFM’ (What’s In It For Me). Ensure you take all staff on the journey. Communication is essential because the programme’s not just happening for the business, it’s happening for the people and they need to know how and when they’re impacted to avoid fear, lack of support or even change fatigue. There are often many other initiatives and programmes in progress and the interdependencies of people, projects, systems and processes need to be considered from the beginning, not at the point of unveil. This is the pointy end of the programme. Usually it comes at the end of a long and tiring journey with a ‘temporary’ group of people (staff, contractors, vendors) all about to disperse and complete their mission and purpose. All too often we witness that the business is not set-up or is ill-prepared for the transition to BAU (Business As Usual). The design of the future Operating Model was not conducted early enough, the hiring process is too slow, the capability, skills and experience required to receive the programme is often under-cooked. There is a tremendous amount of IP (Intellectual Property) about to walk out the door at the end of the programme. Therefore, ensure you take stock early in the programme lifecycle of how you can retain the IP and undertake the knowledge transfer from the programme to an operational BAU and a steady state. If you’re at the point where your foundations read like the above and you feel like your Transformation is heading over a cliff, get in touch with us. This is all avoidable with the right expert help. Contact us to find out how we can help 1300 70 13 14. 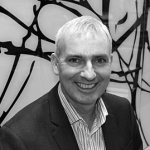 As the newly appointed COO of PM-Partners group, Derek has spent the last 15 years of his career in driving business growth, delivering programs and operational efficiencies with a particular focus in the world of programme and project management across global, regional and local organisations. With a determination and drive to make continuous improvements, Derek utilises his natural collaborative style and people management skills to drive the benefits of team work and implement appropriate solutions, in line with the strategy.